I know what you’re thinking, berries are so last week, you want to know THIS weeks ingredient and what we intend to do with it. Geez, where have you been, Amy? I must humbly ask for your forgiveness for posting so late this week. A wedding, Independence day, and then finally moving all my stuff (note to self, time to clear out the ol’ cookbook collection) to Brooklyn (that’s right, I’m now settled just on the other side of the river from Hillary) left me very little time for cookin’. I know, I know, enough excuses, just give you the goods. And this week, that’d be mascerated berries and cream. Extremely simple and yet so flavorful, this is a perfect Summer dessert when you’re short on time. This past Saturday after my volunteer shift at the farmers market I picked up the best berries I could find, a pint of whipping cream and I was set to have a lovely Summer treat. 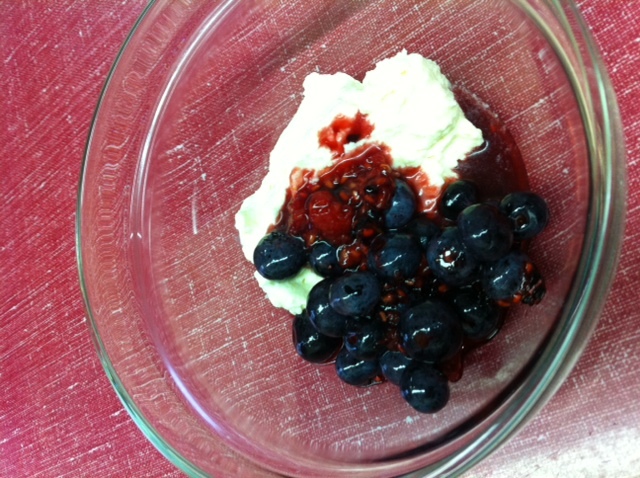 Wash the berries, combine all the ingredients in a large bowl and mash them a bit with a spoon. Leave aside, covered, for at least an hour for the berries to really plump up with the sugar and juice. Place the sugar and vanilla in the bottom of a chilled bowl. 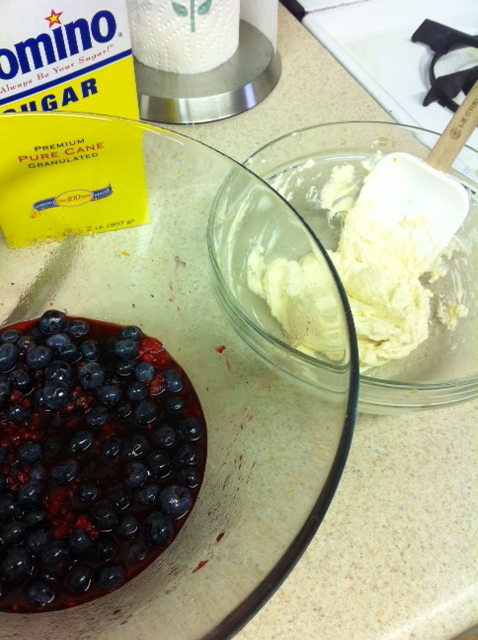 Add the whipping cream and beat with either electric beaters or a whisk until soft peaks form. Fold in the sour cream and orange zest. Just think of this sweet little recipe as a peace offering for my tardiness this week. I swear it won’t happen again. 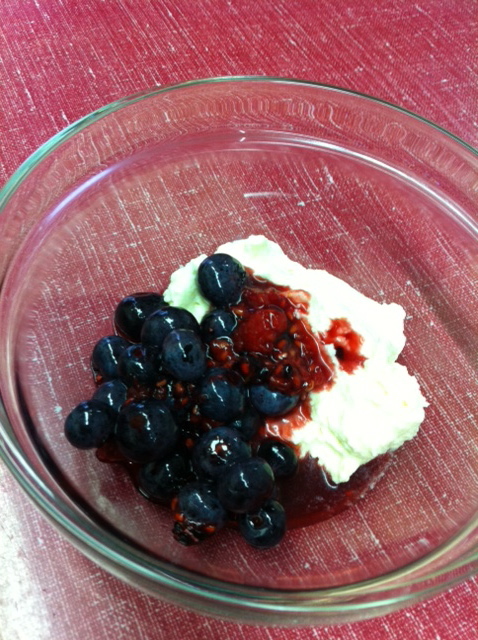 Now go enjoy this dessert before berry season passes us by! 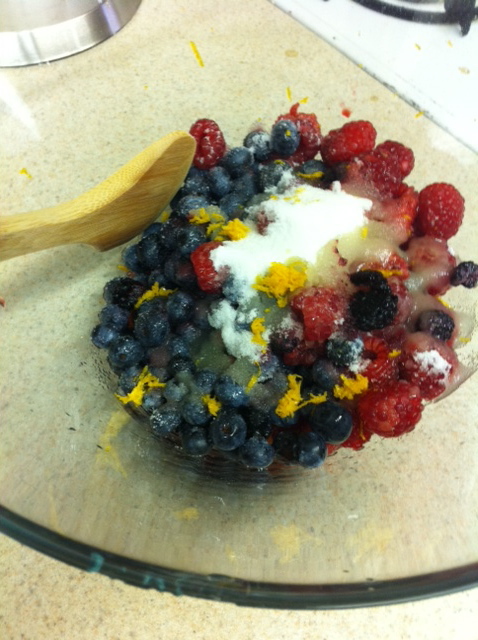 This entry was posted in Berries and tagged berries, easy, orange juice, quick, sour cream, summer, whipped cream, zest. Bookmark the permalink.